When the OMD UK Insight team told us about their plans for Future of Generations last year we knew it was a project we had to get involved in. At house51 we pride ourselves in being ‘interested in people, not consumers’. 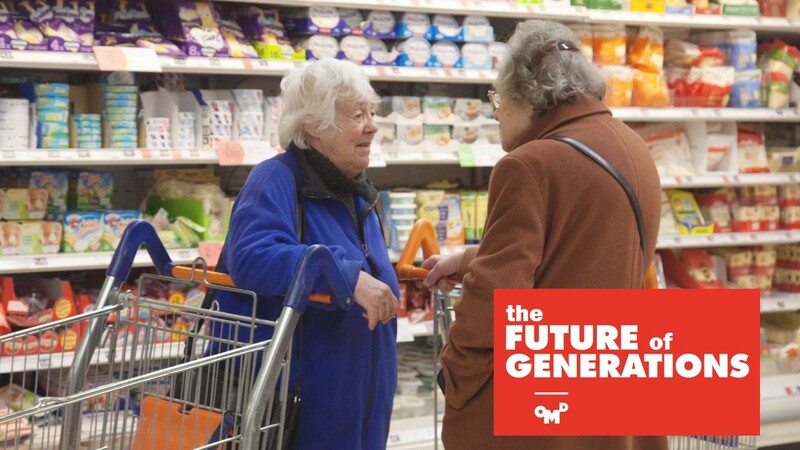 So helping OMD UK to bust some myths about generational stereotypes was right up our street! But researching stereotypes presents a number of big challenges. Firstly, there are a range of things that people simply can’t say (because many attitudes are formed unconsciously). Secondly, there are others things they won’t say (because they consciously edit their true feelings to provide socially desirable responses). Mahzarin Banaji and Anthony Greenwald, psychologists at Harvard and the University of Washington, set out to address these challenges by developing the Implicit Association Test (IAT). The IAT uses reaction time data to measure the strength of peoples ‘automatic’ attitudes. Since 1995 it has shown that people have unconscious ‘blind spots’ when it comes to their attitudes about a wide range of social identities including age, gender, race, ethnicity, religion, social class, sexuality, disability status and nationality. So, clearly, traditional research methods which focus on slower, deliberative, rational, ‘System 2’ responses were not going to be sufficient to meet the objectives set for Future of Generations. However, while the IAT is a powerful experimental approach, it is long, detailed and produces a general answer to a binary question (e.g. is there an implicit age bias?) rather than measuring a range of implicit attitudes associated with that bias. So it’s not well suited to the demands of commercial research. That’s where the house51 Implicit Response Test (IRT) comes in. It takes the core principles of the academic IAT (priming, reaction times) and packages them in a shorter, more flexible tool that enables us to generate the actionable insights that bust generational myths and inspire commercial decision makers. We used the IRT to show that certain assumptions and stereotypes about generations are more ‘psychologically certain’ and ‘hard-wired’ than others. See page 19 in the Future of Generations whitepaper for more details. But the real secret to our myth-busting was methodological creativity and flexibility. Social psychology and behavioural economics also tells us that people’s attitudes are driven by powerful social norms and are highly dependent on framing and context effects. Furthermore, people learn who they are through a process of identity negotiation- a process of mutual give and take interactions with others. So we adapted the IRT engine to explore these principles. The results are particularly evident in the busting of Myth 1: younger generations are narcissistic and rude. We tend to see ourselves differently from how other people see us. So we framed responses from several perspectives (me, my generation, other generations) and allowed respondents to select their own stimulus and images to represent each category. This ‘oblique’ approach gave us the myth-busting results below where we see how people’s self-identity contrasts with their perceptions and stereotypes of their own generation. It would not have been possible to achieve this result with traditional research techniques because they allow respondents too much scope to edit and rationalise their responses and produce consistent or socially desirable answers. The latest research industry GRIT report shows that less than a third of organisations are using behavioural economics frameworks as part of their toolkit. One reason for this inertia is a misconception about the lack of compatibility of behavioural economics and traditional market research. Many fear that BE undermines traditional methods and generates contradictory rather than complementary data. Concerns also linger about the cost and complexity of adopting BE solutions. So the collaboration between OMD UK and house51 on Future of Generations provides a powerful case study on how MR and BE can be seamlessly integrated to produce ground-breaking results.